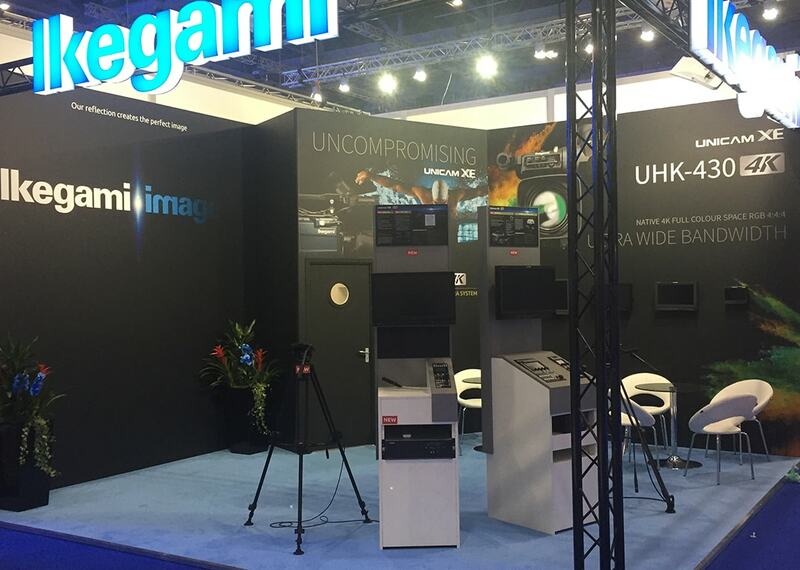 Ikegami is a leading supplier of high quality professional broadcast equipment. The Ikegami name is recognized globally for its state-of-the-art television cameras, medical cameras and CCTV equipment. World-class CMOS imagery, 4K and 8K technology, multi-format flexibility, and unparalleled customer support define the Ikegami experience. Ikegami selected SGX to design and build a stand for BVE 2017, the UK’s leading Entertainment & Media Tech event. SGX was selected in part due to the business approach it shares with Ikegami: the quality of our product must meet the highest standards and that customer communication and customer relationships should mirror this high standard. 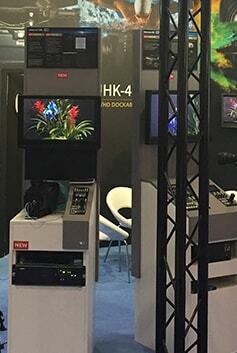 Ikegami desired an exhibit solution consistent with the high quality brand and reputation it has earned in the marketplace. 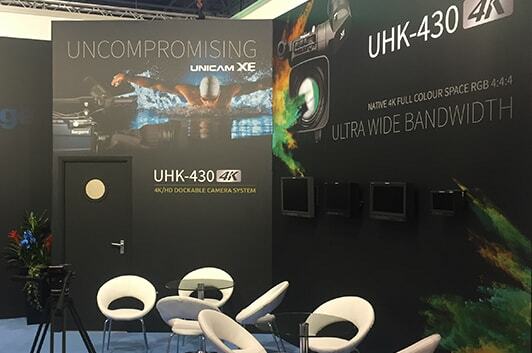 SGX achieved this through a dramatic truss/fabric stand with striking graphic wall that presented a clean, superior look. The 36-meter stand was visible from multiple angles, and included display pods, meeting area, plus custom-sourced flooring that reflected Ikegami corporate colors and provided a welcoming element to stand visitors.